Wilsen Initiative (Wi) is a group of young innovative people who values positive change through sharing skills and Knowledge. A part from motivational workshops, T-shirt design, football, youth exchange among others, we offer free consultation to youth groups and established/emerging artists who would like to set an online/offline presences. 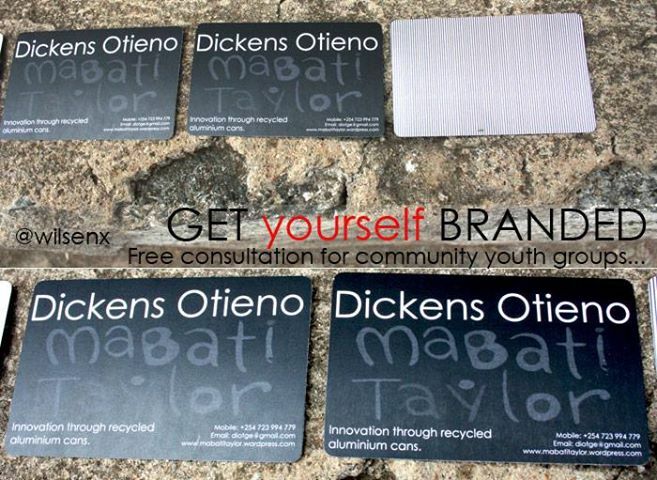 Our main focus is on the basics of branding both for online and offline production. a) A website in form of a blog and other social networking tools. b) Advice on digitizing your work. c) Design and print business card, brochures, T-shirts etc. d) Advice on setting up a working team (community youth groups). See an example of project done by Wi. Artist short profile: Dickens George Otieno is a Kenyan artist (sculptor and painter) based at based at the GoDown Art Center. 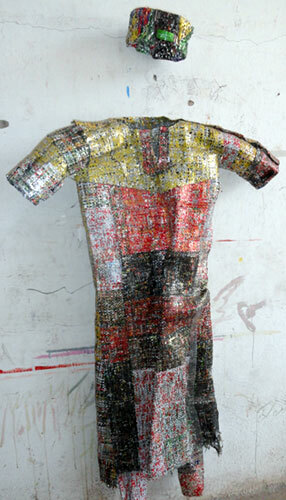 His work influenced by creating innovative products using used aluminum cans for soft drinks or beer etc. which he shred and weaves through copper wires into big fabrics like clothes and trousers. Task done: Designed business Cards and blog customization on WordPress. 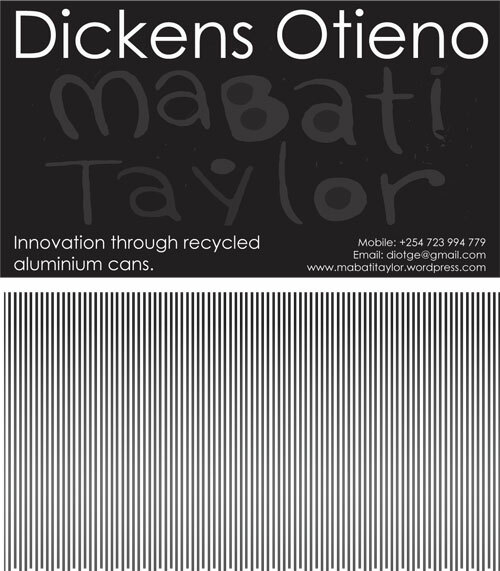 Final business card designed for Dickens- Get yourself Branded professionally.